A long, long time ago, before cooking shows were really popular, I saw someone make peanut butter cups on television. I was shocked. You could make this delicious treat at home? Mind. Blown. I called my friend, ran down the block to her house, and we made them (with the help of her mother, of course). 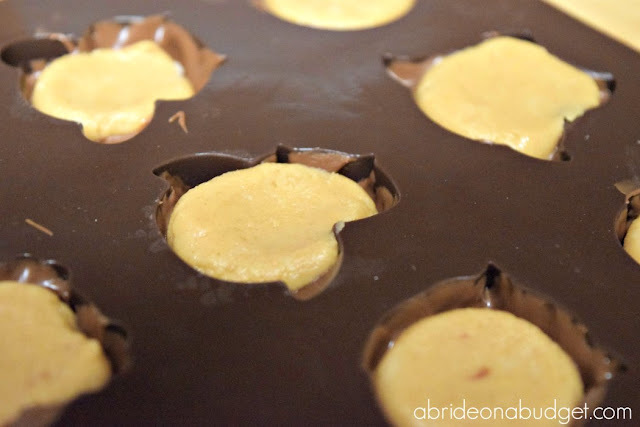 Even though I actually now own a mini peanut butter cups mold, I'm not sure that I actually ever made them since that day ... until now. But using that mold, that's too simple. 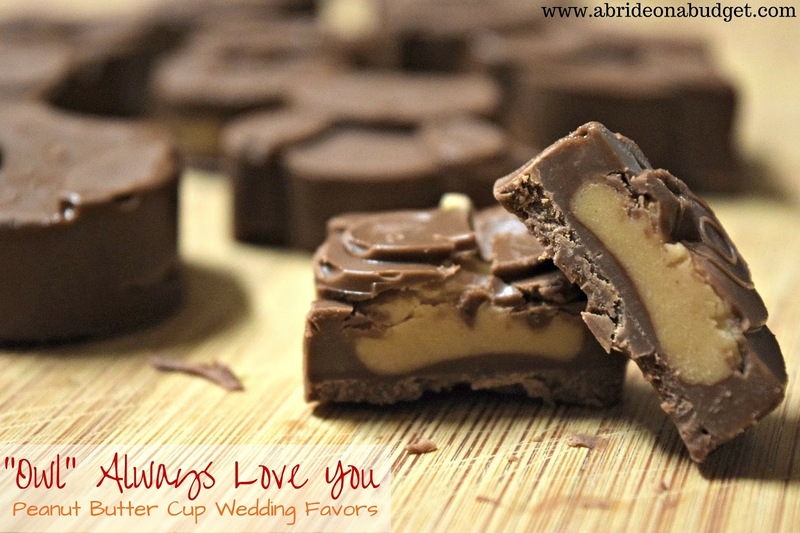 Instead, I used an owl silicone mold and made these super cute "owl" always love you peanut butter cup wedding favors. Now, keep in mind, if you're not crazy about owls or puns, you can just use a traditional mini peanut butter mold instead. 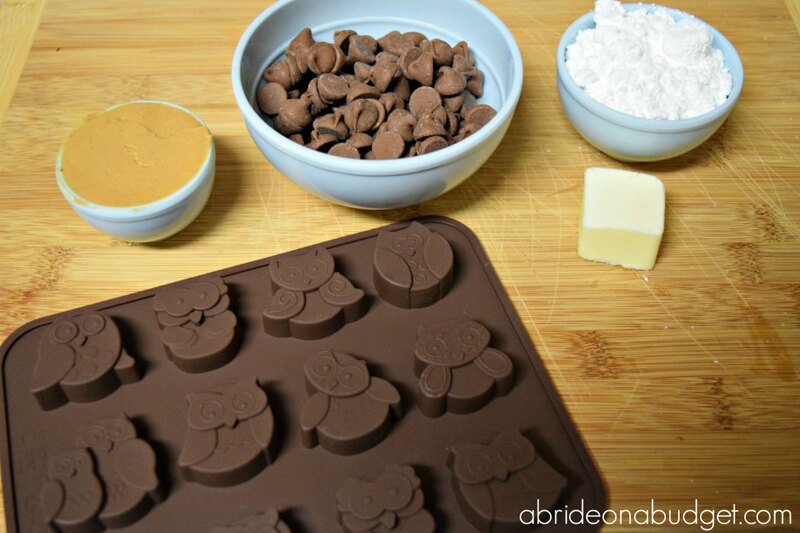 Melt half the chocolate chips. 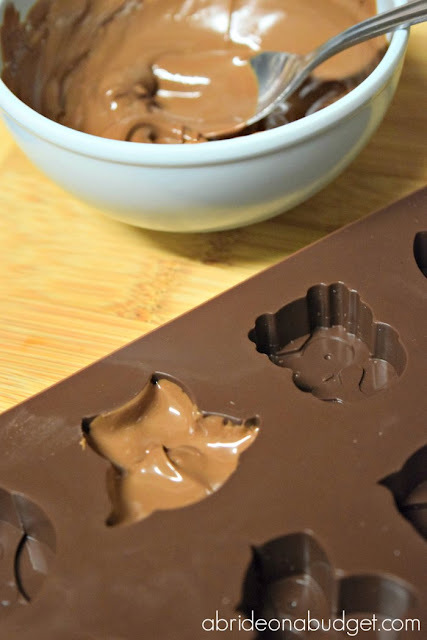 Fill the bottom of the mold -- and the sides -- with chocolate. Chill in the freezer for about 20 minutes until the chocolate hardens. 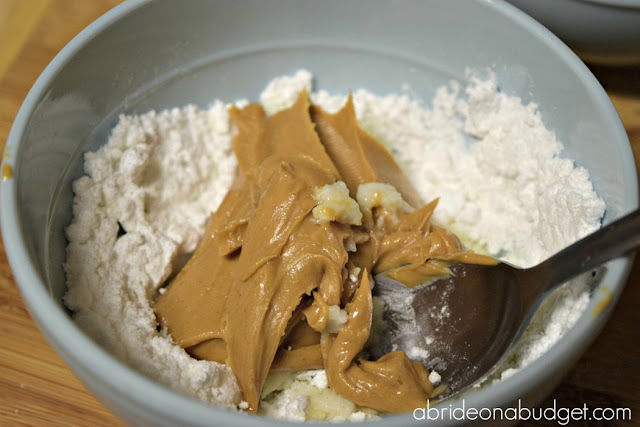 Mix together the powdered sugar, peanut butter, and butter together. Add a clump of the peanut butter mixture into the molds. Push it down so it fills up the entire mold. 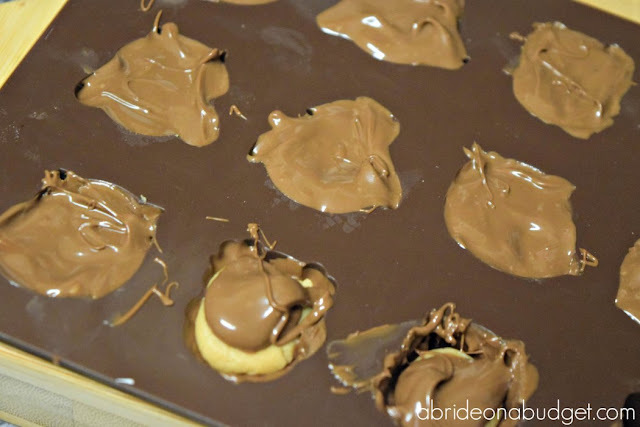 Melt the other half of the chocolate chips. Add a layer of melted chocolate over the peanut butter mixture and chill in the freezer, at least two hours. 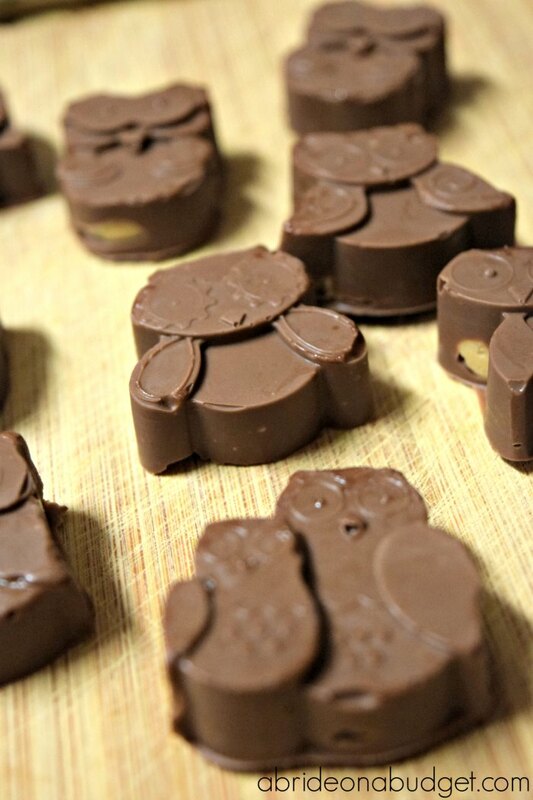 Pop the owls out of the molds. Pack two of them into a small plastic treat bag and tie with a ribbon. Three might fit a little better in the bag, depending on the size of bag you buy, but two is cuter because you're a couple getting married. These should keep for a little while, so if you're making them for your own wedding, you can make them the weekend before. If you do, pick up a couple molds so that you can make a few trays at a time to speed up the process. BRIDAL BABBLE: Would you make these DIY "owl" always love you peanut butter cup wedding favors? I love peanut butter cups. Can't wait to try these. These are so adorable and you can eat them. How can you go wrong with chocolate and peanut butter. Whooo loves peanut butter cups? We ALL do! These look very yummy and cute. Hope you have a great week! This sounds really yummy and not too hard to make! Thanks for sharing! These are absolutely adorable and oh my goodness - you are totally dedicated and awesome! I don't think I could be that patient. Your guests will love this! Wedding schmedding... I need to make these just because!! Thanks for sharing on FTAF! This is such a cute look! I bet the kids would love to eat these! I love having using molds when cooking. Thanks so much for linking up for the Best of the Blogosphere!